So, I know you were probably expecting a book review tonight and I do have one ready to go. But, as this is a pretty busy week for me, I’m going to hold off on posting that until Friday. I started my new job today and am out tonight with my old work. In order to keep up with my posts I wanted to get ahead of everything but I didn’t have the time to finish my review. Instead, and having recently read a load of monthly wrap-up posts, I decided to do one for my March reads. Now, as you will be aware, I don’t normally do a monthly wrap-up post but that’s mainly because I normally only manage to read an abysmal number of books. However, I’ve had a pretty good bookish month and I wanted to show off! Whilst also solving my issue with time. Number of books read: 8 – I know, compared to many of the people I follow on Bookstagram or my fellow bloggers, this is completely tiny but, for me, this is super impressive. Number of physical books: 3 – March was the year that I finally finished one of the books I’ve had on my TBR for years and it was a bit of a relief to lost the guilt surrounding it. It was also the month that I started working my way through my mini Modern Penguins boxset. Considering I’ve had it for a year it was about time. Number of eBooks: 5 – I spent most of the month trying to get back on top of my NetGalley account so have been using my Kindle way more this month than I have in years. This was my first read of the month and something I got free off Kindle Unlimited in order to get a review written. I’d not read anything by this author before but, as someone how hates most crime thrillers, the idea of short crime thrillers intrigued me. Isn’t the thrill really in the chase? So, with such a short chase how could it be as interesting? Turns out it wasn’t. A book that was brought to my attention thanks to the author getting in touch. It still gives me a bit of a thrill when stuff like this happens. I know they just get in touch with any book blog but it still feels special. I’m not in this for any free stuff as it was just a way to improve my writing. But, I’m not gonna lie, I’m never gonna turn down a free book. So, turns out it wasn’t exactly my thing but it was a fun and easy read. Definitely helped me get out of the slump I was heading for. This was another NetGalley book that I managed to get the chance to read and I’m so glad that I did. It’s a lovely and very human love story between two elderly characters. Not the kind of thing you’d expect to see but there is something so sweet about their romance. And the illustrations? My god, I love everything about the look of this book. I can’t even. This month, inspired by a fellow Bookstagrammer, These Novel Thoughts, to read one of my mini Penguin Modern Classics a week until I’ve made it through them. This is the first one I picked at random and it was perfect. 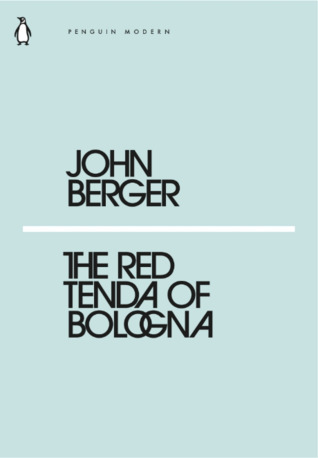 A strange and dreamy set of vignette like passages. The writing is really evocative and beautiful. It packs more than enough punch for a book of its diminutive size. 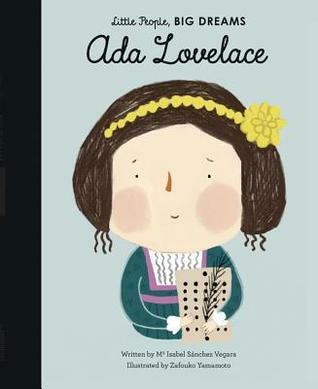 This was another NetGalley acquisition that I requested due to the super cute cover and because Ada Lovelace is a brilliant woman. She’s the daughter of one of my favourite poets (a huge disservice I understand but it’s good to remember) and is super important to the world of computer science. This adorable book attempts to simplify her life for a younger audience. Whilst I may think this book takes it a step too far, I can’t deny how charming a read it was. I was given this book by my sisters for Christmas during my first year of University. It’s been over 10 years since I started my undergraduate degree so that gives you an idea of the state of my TBR. But when you’re reading for school you don’t really have time for fun reading. So, this languished on my shelf until I decided to finally start it… in February. It took so long to finish this book and I really had to force myself by the end. 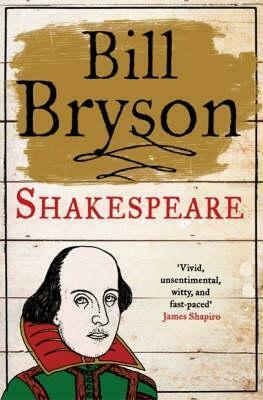 I just didn’t get on with Bryson’s presentation of Shakespeare’s life or his academic approach. Too casual for me. This is my final NetGalley read of the month and one that has sat on my shelf for ages. I’m trying to get my feedback score up so I decided to just go for it this month. Plus, I was intrigued by this one. A group of young kids coming together to stop an evil villain could either be brilliant or something we’ve seen too many times before. And there was a dog in this one. I love a good dog companion. This could very have been The Famous Five meets The Lord of the Rings. But, unfortunately, it wasn’t. There were some great things at the start of this book but it just didn’t develop in the same way. So many characters were introduced in a rush but the story feels dragged out. I just wanted so much more for this. The second of my mini Penguin Modern Classics. Yes, I’m already a week behind but I’m hopeful I can get it back again. I wasn’t exactly expecting such a massive personal change at this point of the year so I think I can let my reading go awry for a bit. 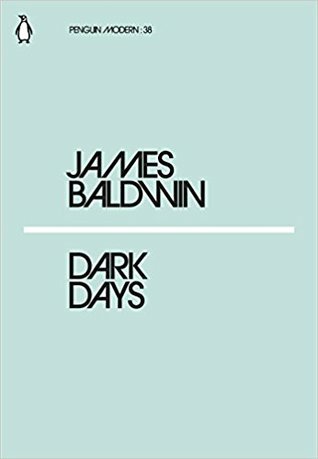 In James Baldwin’s essays, he uses his personal experiences to discuss the position that race plays in society. This is an important and insightful work that I wish was longer. It gives a personal touch to a political debate. It’s brutal and angry. Baldwin’s writing is powerful and all the more so for how relevant it still is. Don’t give me too much credit. It’s only cause I’ve been feeling guilty about it for ages. Problem is, now I feel guilty about my normal TBR. Daisy Jones keeps starring at me from my shelves. It’s an endless cycle!